Not sure why he was willing to pose for this pic, but I took full advantage! LOL. 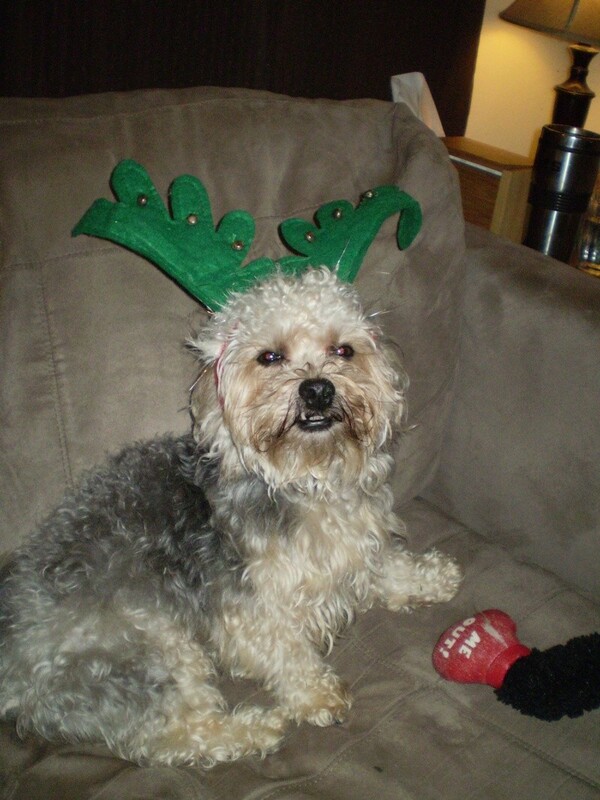 That is a cute dog with fake reindeer antlers. Ever since my dad told me Santa Claus wasn't 'real', (when I was 22) I have been a very skeptical person. Nice try though, Miss Christina. That's the cutest little reindeer I've seen this year! Subject: Re: Our little reindeer!